A wholesale specialty food distributor serving bakeries, restaurants and natural food stores throughout the Greater San Francisco Bay Area since 1989. In A Nutshell takes great pride in providing our customers with the finest in Nuts, Chocolates, Dried Fruits, Spices & Herbs, Seeds & Legumes, Flavors & Extracts, and more... whether purchased online or by phone! 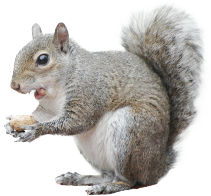 Almonds, Cashews, Hazelnuts, Macadamias, Peanuts, Pecans, Pine Nuts, Pistachios, Walnuts, and more! A complete selection of dozens of spices, offered in heat-sealed bags for the freshest, most cost-effective product! Guittard and Barry Callebaut… Cocoa, Baking Chips, Cookie Drops, Coverture, Compounds, Syrups and more! Caraway, Flax, Poppy, Pumkin, Sesame, & Sunflower seeds. Black, Garbanzo, Kidney, Navy, Green Beans & Lentils… and more! California stone fruit, Australian ginger, Dutch lemon peel, Turkish apricots, cherries from the Pacific Northwest and more! Almond, Coconut, Maple, Anise, Coffee, Orange, Banana, Lemon, Peppermint, Blueberry, Lime, Vanilla and more!